» Can Cats Regrow Teeth? From their heightened sense of smell to the formation of their teeth, there are plenty of animals who were designed to be ruthless hunters. It can be hard to imagine our feline friends as predatory. However, cats are in possession of a variety of physical characteristics that make them excellent hunters. They rely on their sight, hearing, and sense of smell to hunt, and their sharp teeth to kill their prey. They also use these same teeth to crunch on kibble at home. So, what happens if a cat loses one or more of their teeth? How do they function? 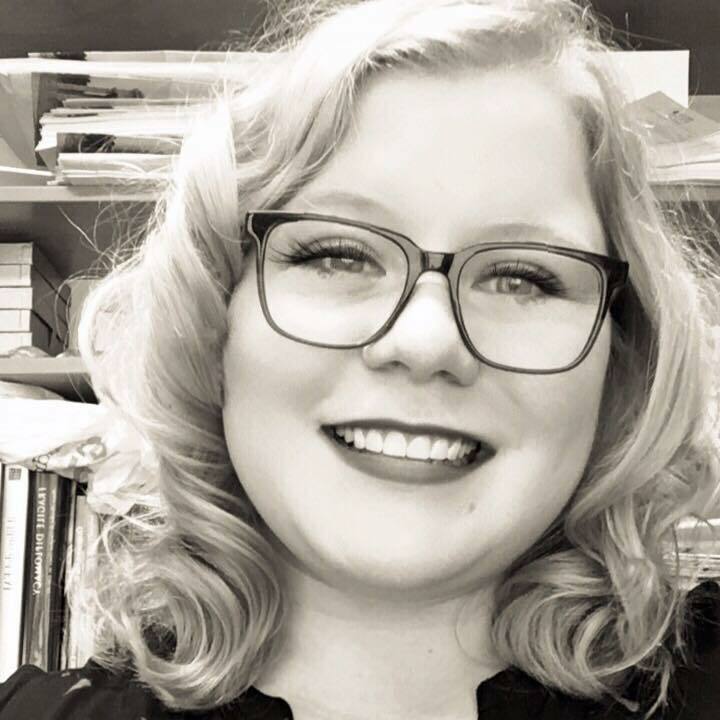 Will they grow back? While some animals can regrow teeth they lost, such as sharks, cats are not one of those animals. Adult cats have 30 teeth, and these teeth are the only ones they’ll have for the rest of their lives. While cats can live perfectly normal lives if they lose a tooth or two, losing too many teeth can cause health problems and can interfere with their ability to chew. That’s why it’s so important to take care of your cat’s teeth. A good brushing regime as well as regular veterinary check-ups can help keep tooth decay and tooth loss at bay. There are some cats that will never consent to having their teeth brushed, no matter how hard you try. In these cases, you should offer them teeth cleaning treats such a Virbac Enzymatic Hygiene Treats. You may also consider the addition of a dental hygiene water additive like Oxyfresh to their daily drinking water. It can help combat plaque and tartar formation. This cat doesn’t seem to mind having his teeth brushed! He probably got used to it as a kitten (or he’s just a very unusual cat). Sort of. Just like baby humans, kittens are born completely toothless. Their first set of teeth, their baby teeth, will sprout up in a few week’s time. They begin losing these baby teeth around 11 weeks of age, and their permanent adult teeth will come up in their place. So, while kittens don’t “regrow” teeth, they do lose their baby teeth which are then replaced by adult teeth. Don’t worry if your kitten looks like they need braces for a week or so! The adult teeth will soon pop up and replace those gaps in their gum line. It’s tempting to not pay much attention to your kitten’s dental hygiene, especially because they’ll lose their baby teeth anyway. 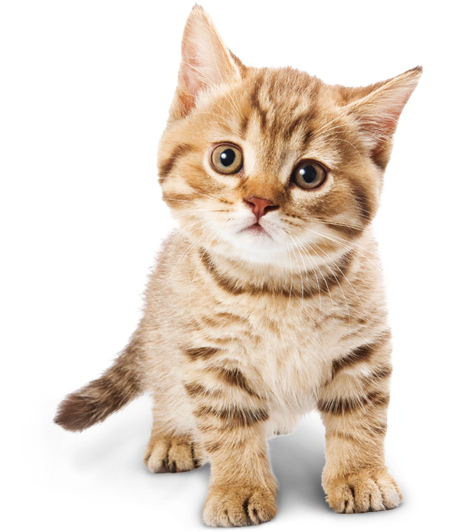 Most kittens arrive in their new home at around 8 weeks of age, and by 11 weeks of age they will already start losing their baby teeth. That’s only three weeks of baby teeth while in your care! The adult teeth that your kitten grows after 11 weeks of age are the teeth they’ll keep for the rest of their lives, and some cats can reach upwards of twenty years old. So, taking care of your kitten’s teeth from the moment they come into your home is a good habit to get into. Regularly brushing your kitten’s teeth can help prevent the bacteria, plaque, and tartar that can eventually cause periodontal disease. The truth is that most cats don’t like having their teeth brushed, so your best bet is to get them used to it as early as possible. Not only will this help keep tooth decay at bay, it will also freshen your kitten’s breath. Initially, keep the brushing sessions short. Don’t use toothpaste right away. Introduce the brush into your kitten’s mouth slowly and gently, praising them the entire time. Do this every day until your kitten gets used to the sensation. When you’re ready to add toothpaste, be sure to use one that’s specially-formulated for cats, such as Petrodex for Cats. Thankfully, cat toothpaste comes in cat-friendly flavors so your kitten may even get excited when they see you take out their toothbrush! You play a huge role in insuring that your cat keeps all of their teeth into old age. In fact, it’s mostly your responsibility, as most cats do precious little to clean their teeth on their own! Starting a brushing regime from an early age is the best way to prevent dental issues that may eventually lead to tooth loss. Be sure to use a toothpaste that is safe for cats, such as Petrodex for Cats, as well as a specially made cat toothbrush, such as RosyLife Pet Toothbrushes. These are great because they come with regular handle toothbrushes as well as finger brushes, which are helpful if your cat doesn’t tolerate a long toothbrush in their mouth. Your veterinarian will examine your cat’s teeth during every exam. If they tell you that your cat needs a professional cleaning, it’s a good idea to do it. Even with regular brushing at home, sometimes plaque needs to be professionally removed. 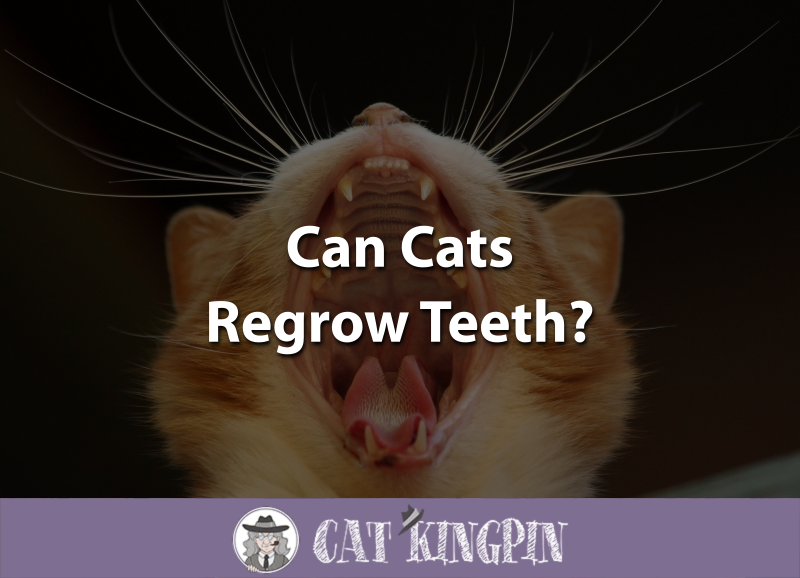 So, can cats regrow teeth? Unfortunately, no, cats aren’t able to regrow teeth after they’ve lost them. Proper dental hygiene is the best way to ensure your cat can still flash you a toothy grin even when they’re well-advanced in years. The best thing you can do for your cat when it comes to dental hygiene is brush their teeth with a cat-safe toothpaste such as Petrodex for Cats. You should also get their teeth professional cleaned when your veterinarian suggests it. If your cat won’t tolerate having their teeth brushed, you should offer them tooth-friendly treats such as Virbac Enzymatic Hygiene Treats, which can help combat plaque and tartar formation.